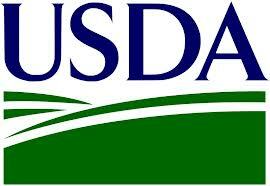 The following are links to federal agencies that relate to our agency and are provided for your convenience. Part of the requirements for approving a disabled person's exemption application is written verification of the individual disability onset date. This written verification must be a current letter from the United States Social Security Administration and must explicitly state the date the individual became disabled, not to be confused with the date the individual began receiving benefits, if applicable. *all information accessed and obtained from the official SSA website and is property of the United States Social Security Administration. Information is current as of March 15, 2013. The United States Social Security Administration deliver services through a nationwide network of over 1,400 offices that include regional offices, field offices, card centers, tele-service centers, processing centers, hearing offices, the Appeals Council, and its State and territorial partners, the Disability Determination Services. SSA also has a presence in U.S. embassies around the globe. According to SSA, for the public, they are the “face of the government.” The rich diversity of its employees mirrors the public they serve. Deliver Social Security services that meet the changing needs of the public. Part of the requirements for approving a disabled veteran exemption application is written verification of the veterans disability percentage (and other information, depending on the type of exemption for which you are applying). This written verification must be a current letter from the United States Department of Veterans Affairs and must explicitly state the total combined disability rating percentage. *all information accessed and obtained from the official VA website and is property of the United States Department of Veterans Affairs. Information is current as of March 15, 2013. To fulfill President Lincoln's promise “To care for him who shall have borne the battle, and for his widow, and his orphan” by serving and honoring the men and women who are America’s veterans. Core values describe an organization's culture and character and serve as the foundation for the way individuals in an organization interact with each other and with people outside of the organization. The Department of Veterans Affairs Core Values and Characteristics apply across the entire VA enterprise. *all information accessed and obtained from the official USDA website and is property of the United States Department of Agriculture. Information is current as of March 15, 2013. Farm Service Agency is equitably serving all farmers, ranchers, and agricultural partners through the delivery of effective, efficient agricultural programs for all Americans. A customer-driven agency with a diverse and multi-talented work force, dedicated to achieving an economically and environmentally sound future for American Agriculture. A market-oriented, economically and environmentally sound American agriculture delivering an abundant, safe, and affordable food and fiber supply while sustaining quality agricultural communities.